Cataracts are one of the leading causes of blindness in the United States. It is estimated that more than 22 million Americans are affected by the condition. June is cataract awareness month, and serves to help people understand cataracts, and what they can do to reduce their risk of developing it. Our vision relies on light passing into the eye through a natural lens, which then focuses the images and transmits a signal to our brain to tell us what we can see. A cataract is the name given to a condition where the natural lens of the eye becomes clouded, which interrupts the passage of light into the eye, causing the patient to experience vision that is dimmed or blurred. What causes a cataract to develop? Extensive exposure to UV light. Some medications, such as steroids. If the patient has certain medical conditions, for example, diabetes. Smoking and hereditary factors have also been linked to patients who are more likely to develop cataracts. Will both eyes be affected? Cataracts usually form in both eyes, but they do not always develop at the same rate and you may find one eye is affected more than the other. Blurred or dimmed vision may be the most noticeable symptom to suggest you have developed a cataract, but there are other signs that you can look out for. Feeling dazzled by strong light. A feeling like there is a fine film over your eyes. Regularly changing eyeglass prescriptions, but without seeing any benefit when wearing the new lenses. In some instances, patients may be able to spot a light-colored spot in their pupil. This is also an indicator that the eye has developed a cataract. If you are concerned that you may have a cataract, a simple examination by Dr. Goel can yield a diagnosis. Although cataracts are not 100% preventable, there are some things that you can do to improve the long-term health of your eyes and help minimize your risk of developing the condition. Smoking has been proven to be extremely detrimental to your overall health and wellbeing, and your ocular health is no exception. Some studies have shown that people who smoke double their likelihood of developing cataracts, with the risk continuing to increase the longer and more they smoke. There are some very good reasons why doctors recommend that you keep your alcohol consumption within certain guidelines, and one of them is that excessive alcohol intake can affect your vision. This is because alcohol can affect the optic nerve and cause permanent changes to your vision, and the more you drink the greater the chance there is that you will develop cataracts or another ocular condition. A healthy, balanced diet is one of the most important steps you can take towards your overall wellbeing. However, there are certain foods that you can eat that are particularly good for your vision and eye health. Dark, leafy greens and brightly colored fruits and vegetables contain vital antioxidants, which help to protect the protein in your eye from the oxidative stress damage that can cause clouding. We all know the importance of wearing sunscreen to protect our skin from damage caused by UV light from our sun, but many of us forget that our eyes are just as at risk too. Some studies have shown that UV light can cause the protein in your eyes to break down, causing cataracts to develop. By choosing sunglasses that prevent 100% UV rays, you can help protect your eyes from all sun damage. Just remember that UV rays are still strong on cloudy days, so wear your sunglasses as much as possible to minimize the risk of damage. 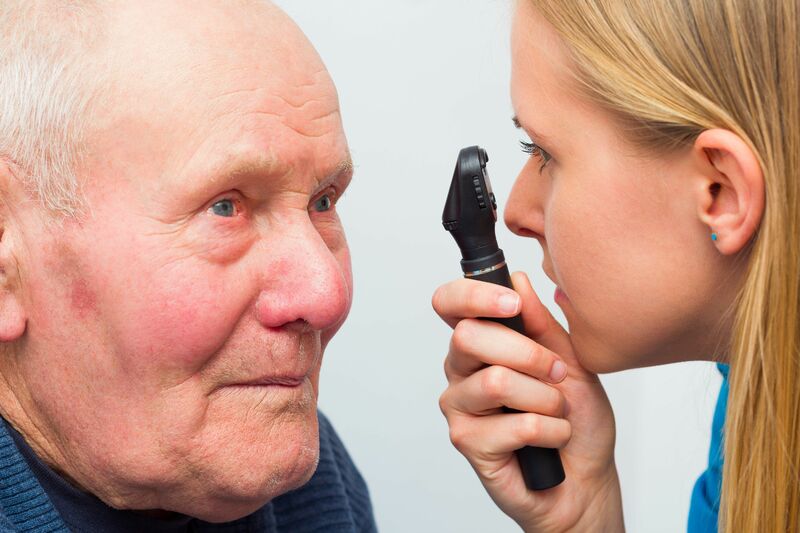 Cataracts can be detected with a simple eye examination. Dr. Goel has extensive experience in identifying and successfully treating patients with cataracts at his offices in Colombia and Baltimore. Cataracts might seem like a frightening prospect, but our friendly team is on hand to reassure you and give you the support that you need. If you are concerned about developing cataracts and would like to know more about the condition, or if you would like to book an appointment for an eye examination with Dr. Goel, we would be happy to assist you.